Don't forget to bring a camera to capture the many magical and memorable moments in the air! 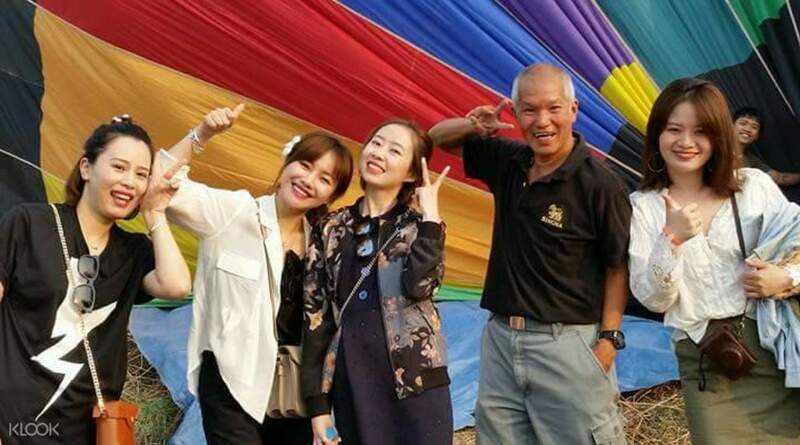 We enjoyed the hot air balloon tour. We had a great experience! The pilot and the crew were very nice and helpful. Everything was perfect! 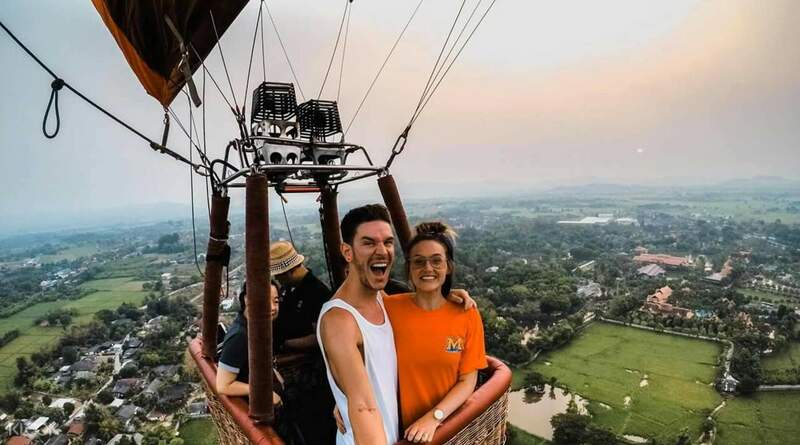 This hour-long flight in a hot air balloon rising up to 2,000 meters into the sky over Chiang Mai is a magical adventure that gives you a complete 360 degree panoramic view of the entire region. Your flight takes place early in the morning where, after a welcome drink and a safety briefing, you'll head on up to your adventure. Take this opportunity to capture priceless magical moments with the beautiful panoramic backdrop behind you, or simply take timeless photographs of the entire landscape. Upon arrival back down to earth, you'll enjoy a celebratory champagne pop and good breakfast, wherein you'll even be presented with a certification of your adventure. 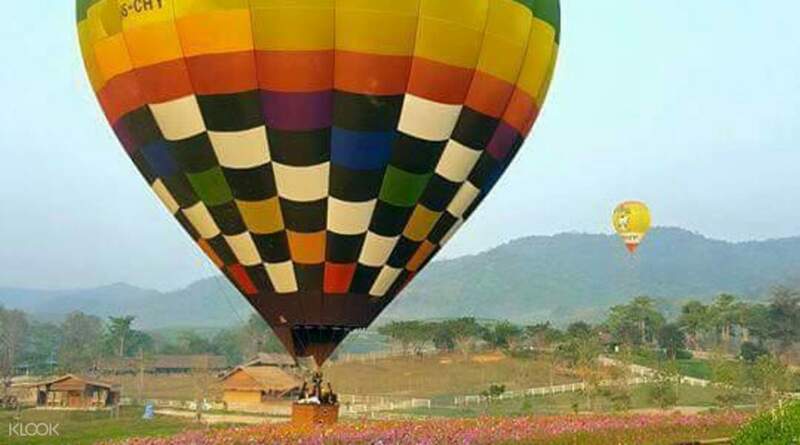 This is a magical, memorable trip high up over Chiang Mai and stay with you for a lifetime. Head up 2,000 meters into the air over Chiang Mai! Don't forget to bring your camera, because there will be numerous magic moments to capture! 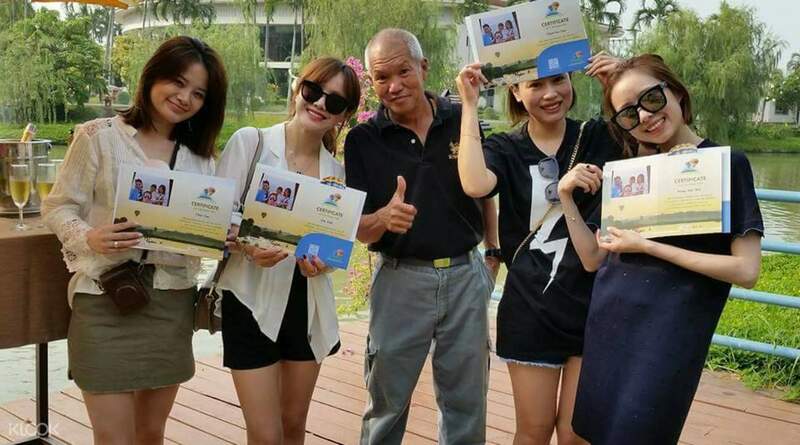 You'll receive a certification for your adventure from your pilot after your trip! Excellent experience. We get to celebrate with champagne after the ride and Great buffet breakfast at the hotel after the ride. Food was delicious. Great service and very friendly staff. Excellent experience. We get to celebrate with champagne after the ride and Great buffet breakfast at the hotel after the ride. Food was delicious. Great service and very friendly staff. Awesome Experience! Beautiful sunrise n faraway mountains. You have to give it a try while at Chiangmai. My hubby n I enjoyed ourselves so much, not to mention the fun ceremony after the hot air balloon ride! Kudos to our pretty pilot! Awesome Experience! Beautiful sunrise n faraway mountains. You have to give it a try while at Chiangmai. 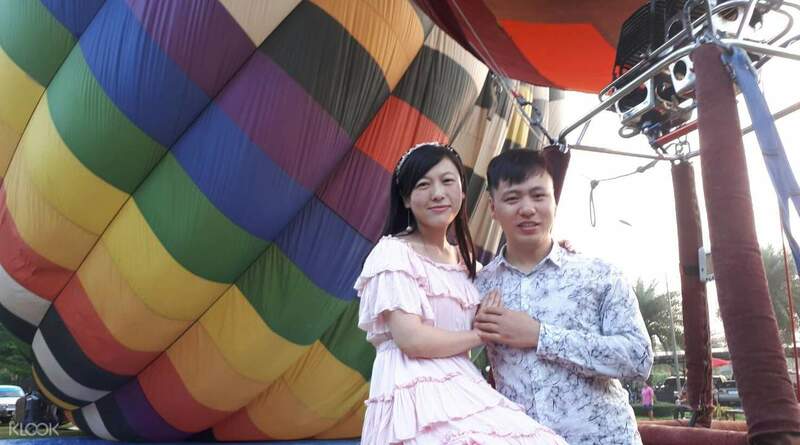 My hubby n I enjoyed ourselves so much, not to mention the fun ceremony after the hot air balloon ride! Kudos to our pretty pilot! Amazing, friendly and helpful staff - what more can we ask for. They gave us a certificate with our family photo at the end. Must try this if you are in Chiangmai! Amazing, friendly and helpful staff - what more can we ask for. They gave us a certificate with our family photo at the end. Must try this if you are in Chiangmai! Amazing first time hot air balloon experience! our pilot was humorous and kept us engaged the whole time. awesome views of Chiang Mai at sunrise. Amazing first time hot air balloon experience! our pilot was humorous and kept us engaged the whole time. awesome views of Chiang Mai at sunrise. Awesome experience! The balloon flight take off and landing was smooth. The view up there was beautiful. Managed to catch the sunrise. Post trip celebration with champagne was an icing to the experience! Highly recommended! Awesome experience! The balloon flight take off and landing was smooth. The view up there was beautiful. Managed to catch the sunrise. Post trip celebration with champagne was an icing to the experience! Highly recommended! Amazing experience, a must do if u stay in Chiang Mai!!! Amazing experience, a must do if u stay in Chiang Mai!!! I had a very good experience form this trip. At begin I was really scared. But in the hot balloon is very calm and safe. When I saw the most beautiful sunrise and felt everything is perfect. I would like to recommend everyone should try one time. I had a very good experience form this trip. At begin I was really scared. But in the hot balloon is very calm and safe. When I saw the most beautiful sunrise and felt everything is perfect. I would like to recommend everyone should try one time. Superb experience with a wonderful pilot! View from up above was definitely spectacular!! Finally managed to get the hot air balloon ride off my bucket list! Superb experience with a wonderful pilot! View from up above was definitely spectacular!! Finally managed to get the hot air balloon ride off my bucket list!